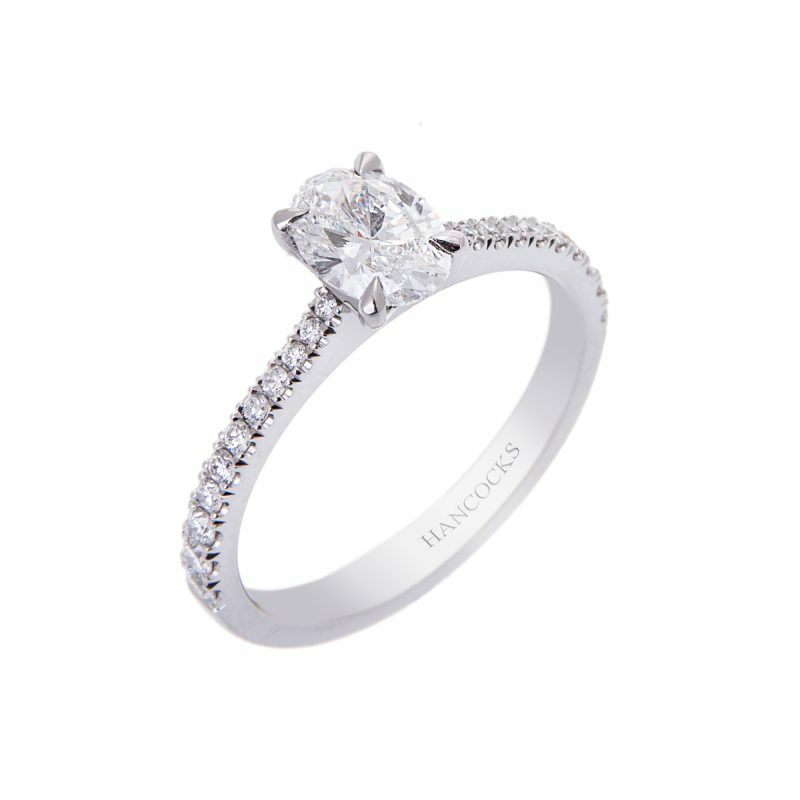 Show your love of diamonds with this charming solitaire ring. A 0.71ct GIA certificated oval cut diamond mounted in a classic platinum 4-claw setting in the centre of a beautiful band of castle set brilliant cut diamond shoulder stones totalling 0.21ct. 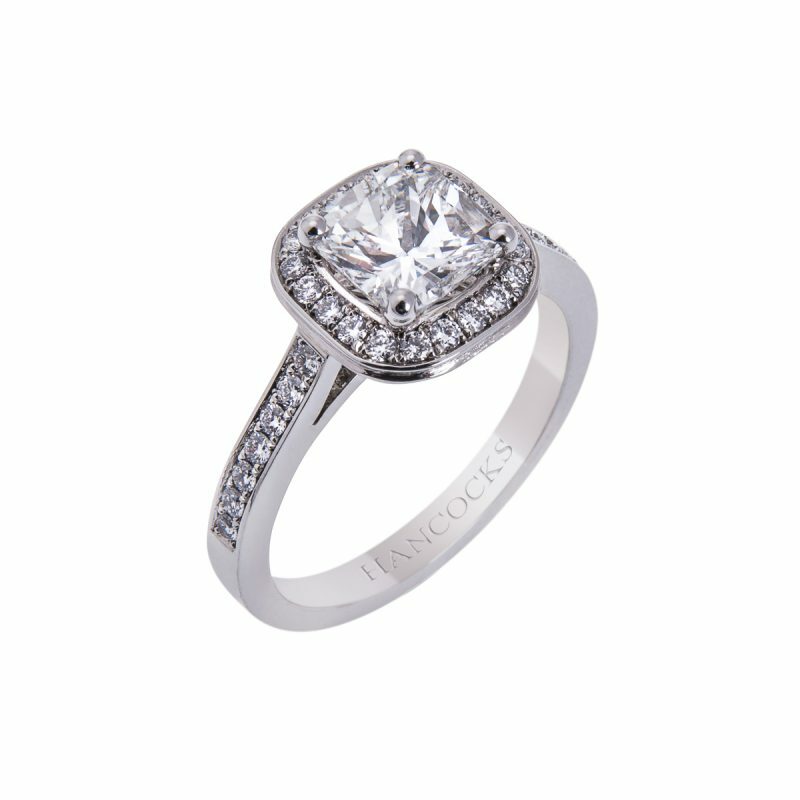 A unique and elegant engagement ring with a stylish look which is sure to attract compliments whenever its worn. 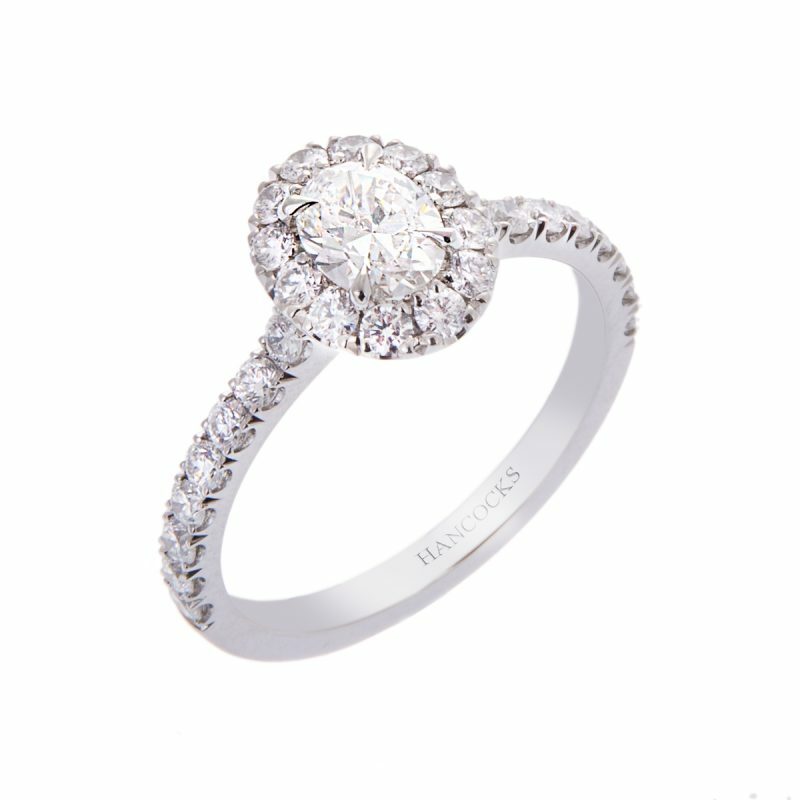 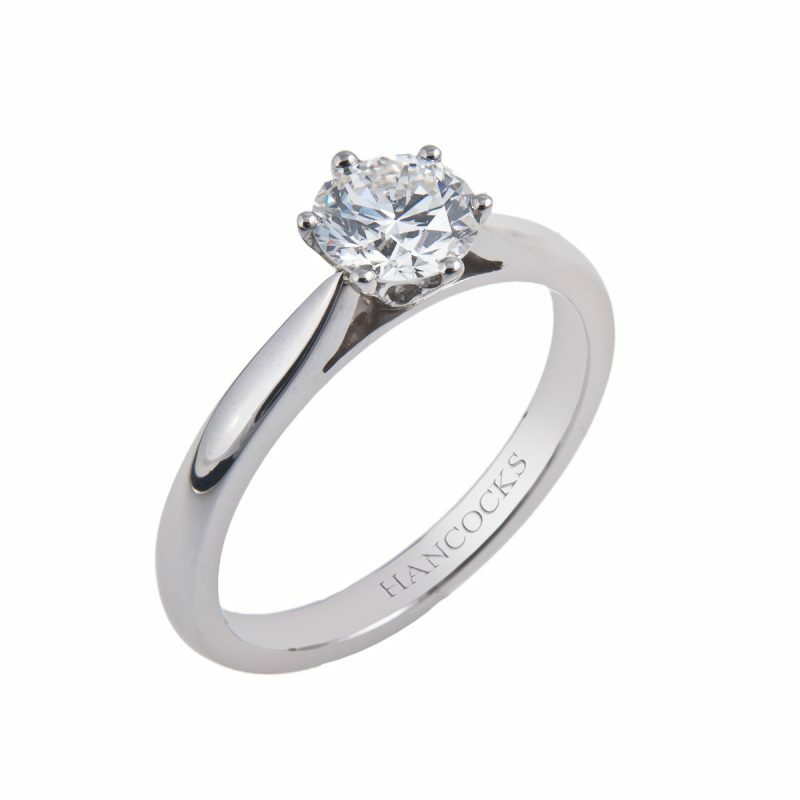 Hancocks offer a free cleaning and checking service to keep your ring as beautiful and radiant as the day it was put on your finger.